Break out your lightsabers, everyone. Star Wars: The Force Awakens crushed U.S. and Canada’s opening weekend box office record with a whopping $238 million gross, beating Jurassic World and its $208 million. That’s four times as much as the next 35 movies from this weekend combined. The seventh movie in the franchise broke opening weekend records in 18 other countries, including the U.K. and Australia. Adding in the extra $279 million from the rest of the world, the global debut total for Star Wars: The Force Awakens was $517 million. Jurassic World brought in $525 million globally, but “Star Wars” isn’t released in China until January 9. 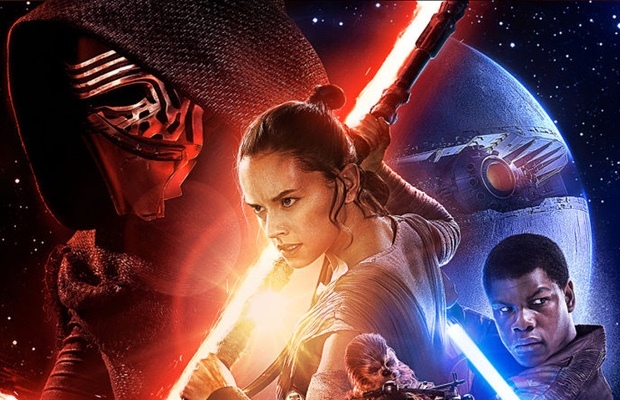 Depending on how the movie fares there, estimators predict that the Force Awakens will push $2 billion. Avatar currently holds the title for the largest overall box office gross with $2.79 billion. Star Wars: The Force Awakens is the first movie in the sequel trilogy announced after Disney acquired Lucasfilm for $4 billion in October 2012 and has received an A from CinemaScore and 95% from Rotten Tomatoes. Directed by J.J. Abrams, the film stars Harrison Ford, Carrie Fisher, Mark Hamill, Daisy Ridley, John Boyega, and Adam Driver.